In this section, we provide valuable tools which have been developed in Futouris projects and which foster a more sustainable performance of the tourism industry. 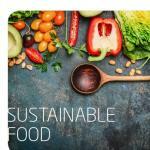 Sustainable food, its origin and production play an increasing significant role for consumers. Tourists care for regionally and organically grown products, fair wages and avoiding food waste. In the common focus topic "Sustainable Food", Futouris members companies are strongly committed to promote the positive impacts of food production since fall 2015. The result of this commitment is a comprehensive and detailed manual. 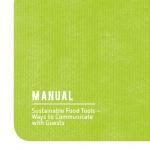 The manual is a beneficial tool for tourism service providers to develop, implement and market a local and sustainable food offer. How can hotels improve their water management? The Water Management Manual is the response to this question. 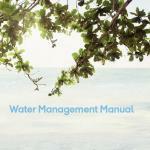 The manual has been developed by Futouris in cooperation with Thomas Cook in the project “Precious Water”. Effective measures to reduce the water consumption in hotels are, among others, to improve the technical equipment of guest rooms, to reuse towels and linen, to use water-efficient irrigation methods for the gardens and a less water-consuming food offer (e.g. local or vegetarian offer). In close cooperation with its members companies, Futouris has developed 14 communication instruments to enable hotels and restaurants to communicate their sustainable food offer to guests. Food labelling instruments and food pickers, among others, were developed to promote the consumption of local food and to raise awareness for avoiding food waste. All instruments can be easily downloaded via the Manual – free of charge. 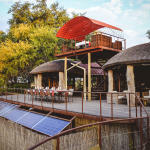 This online map provides an overview of the “sustainable lodges” in the Kavango-Zambezi Transfrontier Conservation Area (KAZA) for product managers of tour operators and individual travelers. The tool is the result of the KAZA industry project, in which all Futouris member companies were involved, and serves as a valuable resource when it comes to researching accommodations and planning travel itineraries in the region.